​How I love to be pampered, to deserve time for me. Aria Beauty Infarared Straightener/Styler. A must for any curly haired person, or even to style. I was introduced to these wonderful straighteners by Cela, and Simona. Both of these young ladies straightened my hair for me. Curly hair I have, and curly hair I like to straighten. They are slightly more expensive, but well worth the money. Finding these straighteners has been a god send. Stratford Westfield is the place to buy them. Enjoy the shopping. ​The Ritual Of Hamman. Beautiful. The aroma is so wonderful, and so good for your well-being, the cream is so delicately creamy, there are different creams for all to choose. I bought was Soul Uplifting Body Cream, with the aroma of eucalyptus & rosemary. My Soul has been uplifted, and so to my heart. I will be visiting here again, a must visit so much to choose from. How I loved walking around this shop. Stratford Westfield a place to shop. ​Love Aroma, and so I do. The machine is so good, it cleans the air, and with the aroma's that I have bought I have a wonderful peaceful home. Lavender, Moroccan Rose, and Vanilla. A spa in itself. Enjoy the moments of complete rest, and peace. It's wonderful knowing that I can step into peace on my return to my chilled place of serenity. ​Frankincense Intense; Have you ever tried Frankincense, if you haven't then now is the time to try. Frankincense as an oil symbolises the gift from one of the Wise Men, the Astronomers they were, wise beyond their years, hence the skies become the following to the Christmas Story of the King, a Prophet. ​Now for me Frankincense holds the healing, and protection power. To keep the Soul Protected. The energies from these products will give your face the upliftment it needs, and also the moisture balance. Finding that on a Spiritual Level, it will protect your Heart, and Soul. ​The smoothness of the Frankincense Intense will give your skin the glow, and freshness that it desires. ​In just 7 days you will notice the difference to your skin, plumpness, firmness, and tone. Instantly hydrates, Optimizes skins radiance. It does have the added joy of being tested so not to cause any skin reactions. 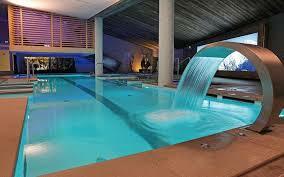 The Brimstone Spa.... Langdale Hotel & Spa... This was again such a beautiful setting, the Lake District always has something beautiful to offer. We had a discount for the spa day, or couple of hours, and the discount is always welcome. The changing room, the robe, towel, and slippers were on, and ready to go. Now to the delights, there was a stream room this was just getting us ready for the rest of the spa. The coloured shower was interesting, and it kept us laughing. I was beginning to enjoy the relaxation, I so needed this for sure, the company wasn't something I needed the night before. The foot spa I wasn't too sure about, the bubbles needed to be slightly harder. Outside by the log fire, placing a log on the fire, then to the Prosecco arriving. This was the part I enjoyed, the sun was shining, the view was complete. Watching other's in the water made us decide not to enter. We decided to have a sauna instead. ​Then to explore, climbing the stairs to relaxing beds, no shenanigans here, as there were camera's watching everywhere. The relaxing room the birds came to visit, the windows were the communication, through the windows they watched, being so open to spirit, and the communications of the wonders of nature, this room so suited me, it could be in the woods, it could be by the sea, all it needed was no humans, the picture set with love. Now to eat, I wanted Afternoon Tea, but to my disappointment they didn't serve this anywhere in the Hotel, so it was something simple. The problems with the payment before leaving proved to be a problem, but quickly sorted. The Riverside Hotel Sanctuary Gym ... I had joined this Gym to train for a while, I am a jogger, but I wanted to build muscle, I also had my teaching of Yoga, and Pilates to give me my fitness. Wishing for just a little respect of my work, and my time here. But NO.... It had started well, and then the mind games began. Women were coming in to the tune of someone telling what to do in front of me. After six months of the games becoming increasingly worse I stepped away. There is only so much childish behavior one can watch before it becomes playground stuff, and way beneath me. I left, and will never return. My Pleasure ... You Serve ... Not at all good, you need to be more professional, and that goes for both staff, and clients. Castle Green Kendal Pulse Gym ... This is the second gym I have tried, and again the mind games started as soon as I arrived, disrespect was so apparent, the men were disastrous, and numpties, the women loved to play the fool. I did have a meeting with one of the directors, but she wasn't prepared to sort anything out so that I could train. She in her words called me a liar. And the person she was protecting played a nasty game the day I left this gym. She basically had given them all the permission they needed to do what they wanted to me. I decided that they are all a bunch of idiots that need to grow up. Staff, and clients again, even to the point of one client following me from The Sanctuary Riverside Hotel to join Castle Green Pulse Gym Kendal, and continue playing the fool. My Pleasure ... You Serve ... Not good at all. You need to be more Professional, and that goes for both staff, and clients. I am wondering what it is about my work, and life that they have an issue with, and it is their issue. I need my own private gym I have decided. Or being sheep who they follow, and when someone commands them to play games then they do as they are told. One thing in life you have to remember to have your own mind, and how you treat people. Clarins Double Serum... I tried this serum for the first time in September. Finding the smoothness, and the delicate touch of this serum. Clarins has always been one of my favorites, I have in my lifetime kept to certain brands, and certain cream because they have always done the job that they are made for. Sometimes trying something new just to see how my skin feels, and looks in a months time. It boosts the skins 5 vital functions. It includes turmeric extract, targeting visible signs of aging; firms, and visibly reduces the look of fine lines, and wrinkles. Improves radiance, evens skin tones. Reduces the appearance of pores. I have found it really beautiful. ​Now Saturday I visited Stratford Westfield Shopping Center ... And my visit was for Chanel, I wanted to try Palette Essential ... it contains; Conceal... Highlight...Color... and Chanel Les 4 Ombres. I loved the way in all came together, and the young ladies were very attentive in John Lewis. I asked a few questions, and found to my disgust that when selling the product they do not get samples to try, and came to the conclusion, how can you possibly tell a client how wonderful a product is when you haven't really tried it yourself for a long period of time. So come on you big brands; Clarins, Chanel, Estee Lauder, Dior, Lancome, and the rest ... give the young ladies more knowledge about a product by using it, I have had that pleasure for many years as the client. I tried everything before I left the hotel, and yes it is beautiful ... My Pleasure ... You Serve ... Thank you Ladies it was my pleasure to see you. 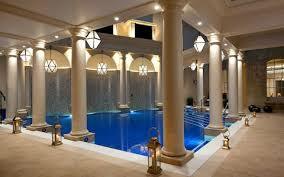 I was so looking forward to this, reviewing such a beautiful place, and allowing myself to enjoy the spa. Arriving a few minutes before time. Form filling a must for any business to do with personal touch. I was taken through to enjoy the sauna, steam room, and jacuzzi alone, which I felt relaxed by, as sharing with people is not what I wanted, I did not want to chat with anybody. I do that in my work, or one of my other working avenue's I just wanted to relax, enjoy the peace, and have my treatments. Going from one place to another was really easy, and enjoyable. Warm, at peace, and ready for my treatments. The couches that were there, were heated, fantastic you do not get cold. I then was called in for a treatment. My feet were washed as a welcome to Santorini. My body was going on an Ultimate journey of sheer peace, it was luxury, and a luxury I deserved. Having finished that part of the treatment, I then had a Collagen facial. 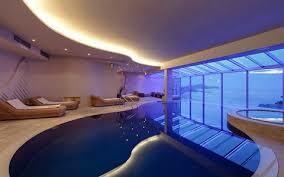 I can recommend the spa for any treatments, they are professional, very pleasant, and eager to help. I came out of there refreshed, and happy. Noticeably different to some of the experiences I have had to put up with, with women, and men in spas, beauty, and hair. Creams, Finding the Best for You. This is the creme of creams, the texture is beautiful. Re-Nutriv Ultimate Diamond Transformative Energy Creme. Remember the creme is about you, and what suits others doesn't necessarily suit you, always ask for a sample before buying, as this creme is expensive, and you need to know that it suits your skin. Beautiful, it should transform your skin to greater heights. Another must have with Estee Lauder. It does what it says, Revitalizing your skin around the eyes to have a glow of refinement. It has qualities to transform. I won't say wrinkle prevention, as a few wrinkles shows a sign of being at one with you, you need to feel good about you, and each item of anything you buy has to fit you. Ask for a sample as again this creme is expensive. Well worth the money though. It lasts, and it transforms. To match above this is Estee Lauder's Revitalizing Supreme Light Creme. It has the same effect as above, and your skin should glow, you should see a difference in your skin within a month. Time to soak up that beautiful creme. Ask for a sample whenever you buy creme. Your face is important to you, and you have to feel good. This creme will certainly give you that. For the love of you remember. It will last months, and you should be happy. This is beautiful, Decleor has always been a favourite of mine. I have always bought the best as I am the best so why not. Hydra Floral Petal Perfecting Concentrate. It has a smoothness of beauty, I use the night balm in Iris to. It lasts as you only need a small amount. It will refine your skin, and should give you a brighter, radiant complexion. It does have 98% natural derived skin perfecting concentrate. Rose Floral Water, and Chamomile is gentle on the skin, Sweet Orange essential Oil for optimal hydration, and radiance. Decleor Aromessence Iris ... Too compliment the above. Together your skin will soak up the energy of floral hydration. A Rejuvenating night balm, the texture, the simplicity. See if you can get a sample, it is expensive, and it has to suit your skin. I have used this balm, and oil for years, and would certainly recommend that you have a try. Too compliment you, and your skin in a special way. Clarins Beauty Flash Balm, speaks for itself. Before make up apple a small amount, it firms your skin to a glow of radiance supreme, tightens, and brightens. Totally recommended. Again a creme I have used for years, and wouldn't change a thing, what suits you, please keep to. As it's about you. Clarins Gentle Refiner, New to the set, and will stay with the set in my bag. Your skin should feel refined, smooth to the touch. It is easy to use, and creates the desired performance of the journey to looking after yourself, your skin, and your time for you. This is a treat, again I have always used Yves Saint Laurent ... As they say No Need to Sleep. It hides the dark circles that life tends to hand out. An extra was Blur-Primer a smooth Primer that done the job of excellent radiance transformation of my skin. Feeling smooth, and deliciously healthy. a gift for my daughter for Christmas, and a gift for me for being special. 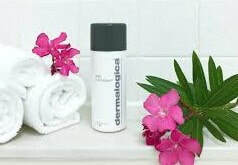 Dermalogica cleansing routine has always been a favourite of mine. This is Gentle Exfoliant it is gentle, and lasts forever so to speak. Always ask for a sample, it has to suit you. Never be pushed into something that doesn't suit your skin. All the Cleansing Solutions are calming, gentle, and certainly recommended for cleansing your skin. Try a weekend travel set first as it will give you a chance to see if it suits you for what your needs are. It will last a long time as you only need a small amount on your skin. 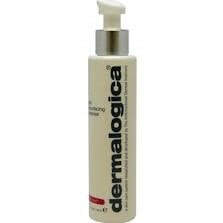 Skin-Resurfacing Cleanser ... This is really a good solution for completely re-surfacing your skin. It does say for skin that is mature, but if you want to look after your skin then start young, and use cleansing for mature skin as it will transform your skin. If your skin is slightly irritated this is a good cleanser, but try the travel weekend sample first. Never spend unless you try a sample for you. If you ever see this shop, please go in and take in the ambiance of the moment. Smell the aroma of the products. Then choose what fits you in the moment that you are in. When I buy these products I find the ones that I love, then add another product for the review of the product. Every product has an aroma so beautiful that it will ease the stress of life, isn't that why we love to be pampered or pamper ourselves. 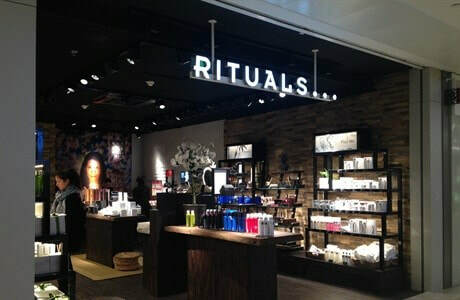 Rituals of Hammam; Black soap; Hydrating, refreshing eucalyptus & olive oil. After using this product your skin will feel so soft & hydrated. 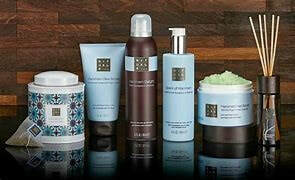 Ritual of Hammam; Body cream; Uplifting; Fresh eucalyptus & rosemary. Soft, silky, divinely beautiful. Ayurveda; Nurturing shower oil; Indian rose &sweet almond oil. The aroma is divine. Skin is so soft. Rituals of Karma; Protection; I love Karma literally; This is a protecting sun spray.